8GB swivel flash drive. A grade memory. USB 2.0 chips. Will record and play HD & Full HD video from 720p to 1080p/1080i. 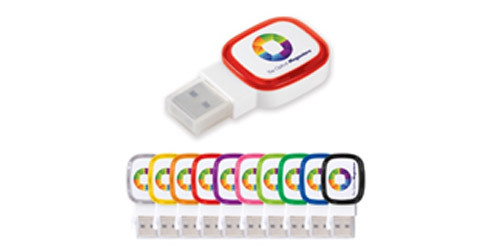 Choice of 10 illuminating coloured rings. Unit lights up when plugged in. Mix and match with other Family items.